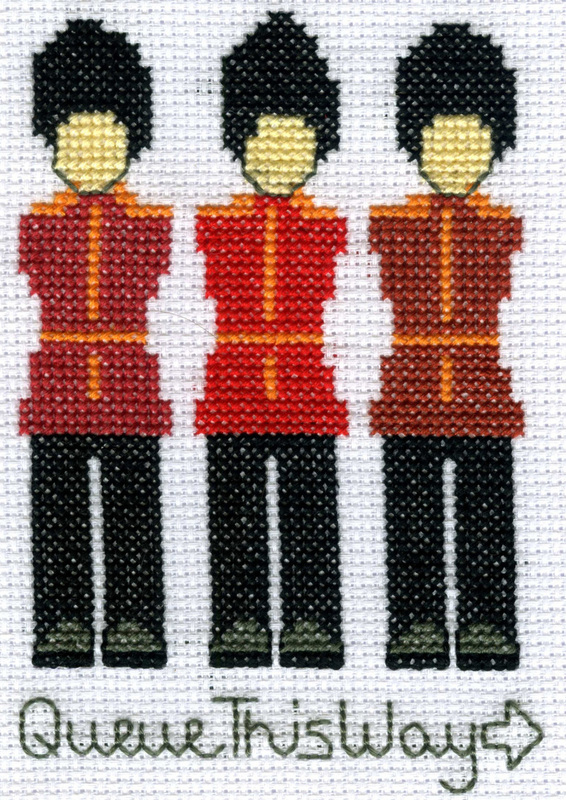 This cute little kit features three members of the Queen’s guards stood proudly to attention. 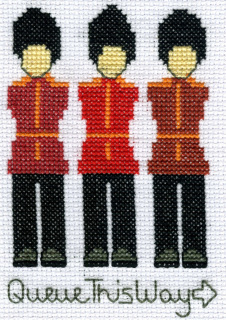 These iconic London figures are stitched wearing jacket’s in three subtle shades of red. The very British ‘Queue This Way’ sign adds a touch of humour. We all know how the English love to Queue! This kit includes a 6inch embroidery hoop in which you can work and frame your work once you have finished stitching. Getting started instruction for any cross stitch novices. A clear, easy to read pattern, designed by myself. White, 14 count, cotton Zweigart Aida to work on (14 holes per inch).